and bow down before the exalted God. Here, the prophet Micah explains that after all that the Lord had delivered the children of Israel from (Ch 6, v1-5), the only proper response is to worship God by “acting justly and loving mercy”. In the next several verses, Micah goes on to indict the people of Israel for the systemic exploitation that had reached every part of society. He concludes that because of their idolatry and injustice, God will give the Israelites “over to ruin and your people to derision [of other nations]”. So, right worship of God requires the pursuit of justice – got it. What does that have to with convenience? Or technology? Simply put, the pursuit of justice – especially for the sake of others – is anything but convenient. It requires leaving the comfort of your current circumstance, and opening yourself up to public ridicule. It also could entail possible reprisals from those who are exploiting the people you’re trying to protect. Pursuing justice means putting yourself out there – in a very inconvenient way. Technology comes into the picture because, at this point, it’s all about convenience. Everything we use, from different social media to smartphones, are designed to cater to what we want. When we’re online, it’s always about the people, news, and things we are interested in. And if we come across something we don’t like, all it takes is one click and that person/topic/thing is banished from our presence. While all of these new tools and conveniences are very enjoyable, it’s easy for us to grow accustomed to having the world our way. The more we get used to having things convenient to us, the more things we want that way. More importantly, the more conveniences we have, the less willing we are to give any of them up. That’s where the problems start. If we aren’t willing to give up our convenience for the sake of pursuing justice, then we can’t give God the worship He requires. Justice costs. And the more accustomed we are to getting what we want, the less we’re willing to pay that price. The more time we spend in a virtual world built around our desires, the more we expect to have things our way – on and off-line. 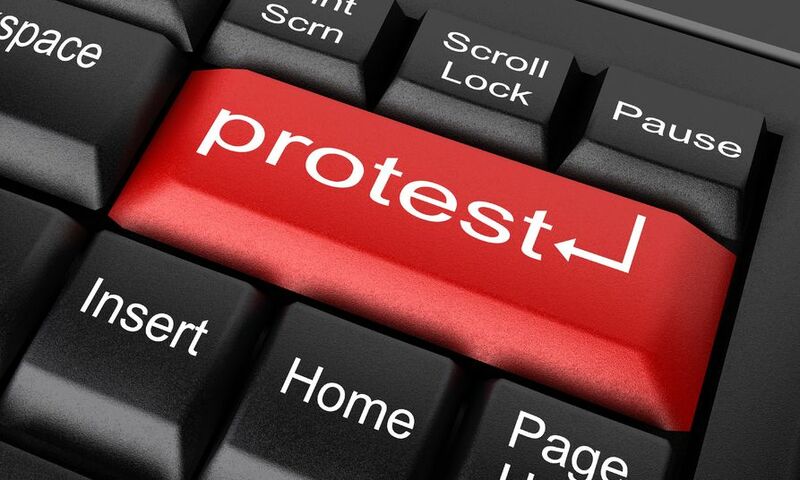 That’s why many online protests have such high participation, but result in such little change. Changing the your avatar in order to “increasing awareness” of social injustice is convenient for you, but does little to challenge those who exploit the weak and vulnerable. The Arab Spring protests of 20** are looked at as a triumph of technology as a tool for protest and change. While technology, especially social media, was integral to the protestors’ ability to affect change, it wasn’t the only factor. Protestors backed up all those tweets and YouTube videos from the Arab Spring. People left their homes and put themselves in real danger in order to make their voices heard. Effective, but not very convenient. We as Christians must be willing to shun at least some of the convenience that is saturating our lives via technology. This shouldn’t be for nostalgia’s sake or from self-flattering attempt at piety. It is a necessary step to prevent us from focusing on what we want all the time. This also will make it easier for us to put down our convenience for the sake of pursuing justice for others. Isn’t that is the type of worship our God deserves? I was talking to my wife after leaving church last Easter. We were out of town, so we visited a church that was recommended to us. After the service, my wife and I introduced ourselves to the pastor and offered greetings on behalf of our home Church. I also told him about the book that I was working on. When we left, I mentioned to my wife how I thought the conversation didn’t go very well. “I just felt like (the church’s pastor) didn’t really connect with what I was saying. And when I asked him questions, he really didn’t respond”, I answered. “Well, I noticed you really didn’t show much interest in him. You only talked about what you want to talk about. You didn’t talk to him. You ‘processed’ him”. When I thought about how I behaved, I saw my wife was correct. My efforts to get to know the pastor were overshadowed by my desire to get him interested in my book. Instead of getting to know the man, I worked to get to what I wanted out of the conversation. Now some of you might see this and think that this is normal discussion between two people after church. What I’ve noticed is how amazingly similar in-person conversations like this are to an email, IM, or text message. First, the minimal greeting, followed by the real purpose of the exchange (getting the question answered). The information is exchanged, and then the conversation ends. I found this pattern in my emails and text messages as well. I’ve experienced these types of stunted dialogs with people in all types of settings. I’ve also had others tell me they’ve noticed a similar pattern in their regular exchanges. We are increasingly engaging in conversations that are more like police interrogations. The cause? I have a theory. Technology has allowed us to connect with infinitely more people. Could it be that now that we have so many more people to talk to, the way we talk to each other has changed? Because the speed of our communication has changed, with emails, texts, and IMs being delivered instantly, our expectations for a response have sped up as well. 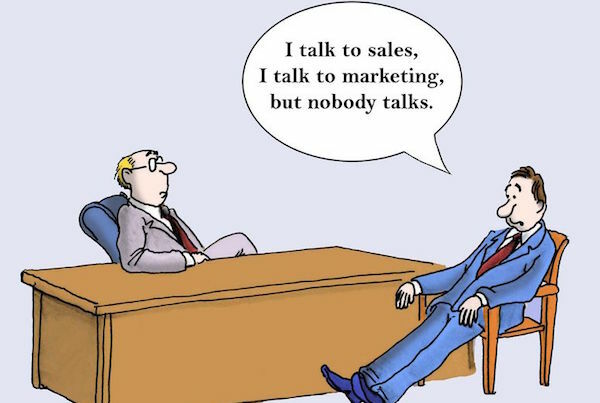 And since we all have more people to talk to, we have to be more efficient (aka faster) in the conversations we do. In other words, efficient communication technologies encourage efficient conversations. If this is the case, then it would make sense that our conversations would more become transactional. There’s no time for anything else. So what’s wrong with efficient conversations with others? The problem is that Christ-like love and relationship aren’t efficient. They are sloppy, unpredictable, and confusing. And most of all, relationships are inconvenient. They frequently don’t fit nicely into your schedule. You can bet that the next time your neighbor needs to talk to you about a painful experience, it won’t be a convenient time for you. If we are to love people as Christ loved them, then our priorities must change. Our top concern when engaging others can no longer be getting what we need. To love others as Christ did, we must put the needs of others above our own. Paul exemplified this in 1 Corinthians 11. There he instructs mature Christians to sacrifice their freedom to eat whatever they want for the sake of believers who were new to the faith. This was an issue because some believed that eating meat from animals sacrificed to non-existent gods somehow endangered one’s salvation. Paul encouraged the mature Christians to put the needs of others first. Acts of like this demonstrate a sacrificial love. They are necessary if we are to build strong relationships. They are necessary if we are to love others as Christ commands. In the same way, we must re-order our priorities when we interact with each other. Make whatever exchange we have – a face-to-face conversation, an email, even a text – about the other person first. Start with a salutation. Follow up with a QUESTION about the other person. Actually LISTEN to the answer. Offer to help if you can. CARE. That kind of sacrifice is necessary for strong relationships. Loving people isn’t efficient, but its necessary if we want to worship God. Technology has given us the ability to connect with each other, but each of us must choose to use it in a way that builds Christ-like relationships. Have you noticed similar behavior in your conversations? Share your thoughts in the comments! Although smartphones have been around for what-seems-like forever, we are only now starting to get a clearer picture of how people live with their devices. This is particularly true when it comes to people of faith. Specifically, how do people use their devices as part of their worship? We’ve previously explored this topic and the impact of our behavior here at bytesandbelief.com (read our post, “The Social Hour” here), but now we’ve got some data. The Pittsburg Courier recently published some survey results that are part of AT&T’s Inspired Mobility campaign. 57% of blacks use mobile devices to connect to faith and inspiration sites and groups. That compares to 46% of Hispanics, 38% of Asians and 37% of whites. Across all groups, 72% of those who use mobility to connect with their faith report using social media to do so, with Facebook and YouTube used most. 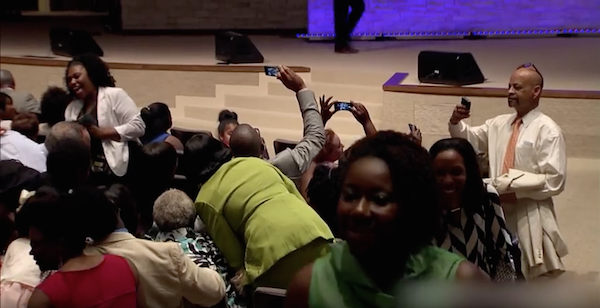 The kicker for me was the number around use of technology DURING worship. According to the survey, 44% of 25-34 year olds said they used their mobile device to engage in activities unrelated to the service they were attending. Does the use of technology – social media in particular – enhance or take away from worship services? Share your thoughts in the comments! It’s popular for people to say that spread of technology into every aspect of our lives is inevitable. To quote robot collective The Borg, from the Star Trek – Next Generation TV series: “Resistance is futile. You will be assimilated.”. For those who hold this mindset, the game is over. The die is already cast. Someone somewhere decided that the devices we use will work a certain way – requiring that we use their services at a price they determine. That price, be it our personal data, our location, or the full content of our correspondence, is set in stone, and to believe otherwise is folly. To participate in the modern world (where everyone else is), this is the cover charge. While we love technology here at bytesandbelief.com, I have to say that I’m frustrated with this point of view. First off, it suggests that the only options that are available are the ones that are presented to you. Most of us choose the technology solutions we have because they are either the easiest option, they are ones that our friends are using, or they are the only alternatives we’re aware of. Secondly, the idea of inevitability is typically brought out to act as a lubricant – something that eases people into doing something they don’t fully understand or don’t want to do. As soon as something is framed with the argument of inevitability, most of us tend to throw up our hands, and fall in line with the rest of the crowd. Don’t confuse what I’m saying in this post. There is great potential for good in technology – especially when it comes to the growth of God’s Kingdom (Ed Stetzer wrote a nice post last year on how tech can be used to expand God’s Kingdom. Read it here). The problem is that believers must understand that our priorities (Christ spells them out in the Sermon on the Mount) are different the rest of the world. Therefore we must make sure that our use of tools, including technology, is conformed to those priorities. The digital tools that are now part of everyday life can be used to help us address God-given priorities. That’s great. But these tools aren’t built exclusively for that purpose. In fact, they are typically designed to appeal to the largest audience possible. They are designed to appeal to those on the broad road, not those going through “the narrow gate”. They can be used for Christian purposes, but these tools often appeal to worldly priorities such as self-centeredness, approval-seeking, control, and lust. If appealing of these priorities brings more users to technology, then rest assured that the design of future devices will move further in that direction. Therefore, accepting technology unquestioningly because it is “inevitable” just isn’t a tenable viewpoint for followers of Christ. We should be willing to embrace technology on every level, but only after understanding how it helps us pursue the cause of Christ. This will require more work and thought from us. It also may make us stand out from everyone else. But as the “salt of the earth”, isn’t that what we’re supposed to do? 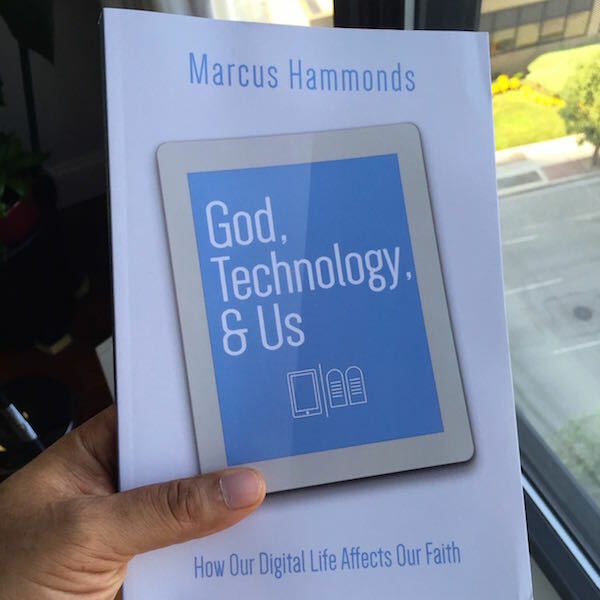 UPDATED – “God, Technology, & Us” – New Book Comes Out September 8th!!! UPDATE: Looks like the Internet gnomes have been working overtime, because “God, Technology, & Us” is NOW AVAILABLE on Amazon and barnesandnoble.com. Check it out! You’re looking at a picture of the FINAL proof copy of my new book, “God, Technology, & Us”. It’s an exploration of our connection with technology and how it affects our relationship with God. It’s been a long time coming, but it’s FINALLY done! It’s scheduled for release on September 8th, and will be available on Amazon, Barnesandnoble.com, and most other online book resellers. I appreciate the patience of all of the readers of bytesandbelief.com, as I stole time from this site to work on the book. I promise you’ll be seeing more regular posts here now the book has been released. 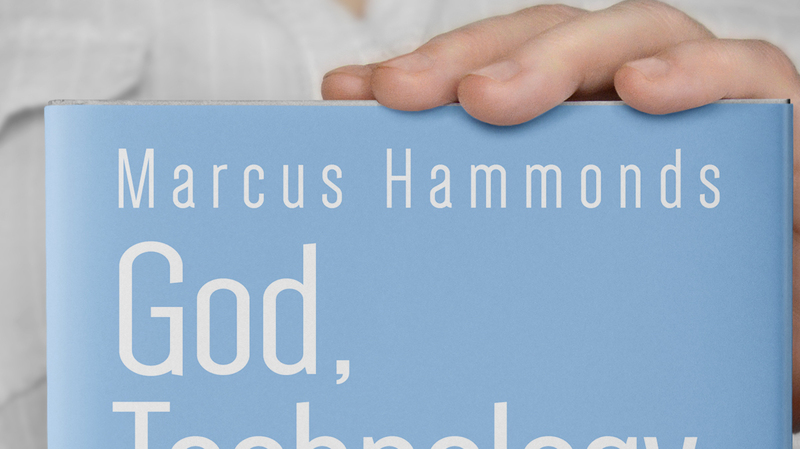 And if you’re hankering for more discussion on the topic of technology & God, pick up a copy of the book, or visit the book’s website, godtechandus.com. “What do I want to use my engineering skills for? While money was a significant part of my decision (I had been piecing together the stereo system I planned to buy for months), it wasn’t the biggest issue. I wanted to be able to look back at what I’ve done and feel like it mattered in some way. Most of all, I wanted what I designed to help people. I wanted to create tools that would make the lives of others easier. This sole factor ruled out certain employers and led me to choose my first place of employment as an engineer. 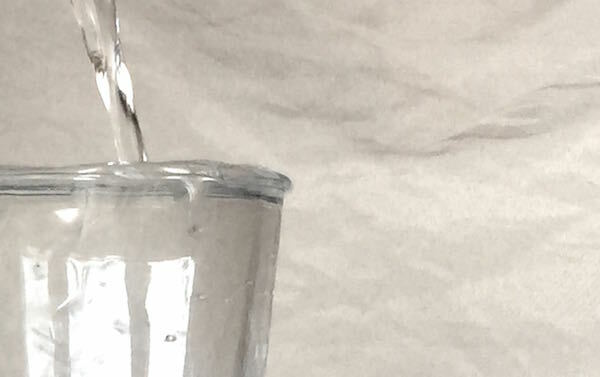 While the outcome of my labors didn’t accomplish anything as noble as delivering water to the people of the Sudan, I was happy with what I was able to do. While the desire to “make something cool” is also a common motivation, the goal of helping others live a better life is part of the core that drives most people who create. And that, by the way, is a good thing. While at first it may appear that a better life is something easy to define (less work, more free time, less pain, more pleasure), the definition becomes complicated fairly quickly. How should one live one’s life? Is a life free of work better than a life filled with honest, purposeful labor? Are daily tasks, such as cooking dinner or driving a car, mundane efforts that should be automated to free us? Or are they areas of personal expression that make up part of our humanity? Is the ability to live several decades beyond the normal human lifespan a worthwhile thing? Or does it harm the normal cycle of birth, living, and death that is replicated everywhere in nature? It is impossible to answer these questions without taking personal stance on how life should be lived. That stance, I would argue, is a moral stance. A personal statement defining what the inventor/designer believes is right and good. This stance determines what technologies get researched, what concepts move forward, what features are included, and what product gets released. When this product is released into the world, it performs two separate functions. Firstly, it (hopefully) functions as a tool for the end user, providing useful service or assistance. Secondly, the product serves as documentation of what the creator believes is valuable and important in this world. A good example of this phenomenon is Henry Ford and the Model T. When the Model T was released in 1908, it was in many ways a personal statement of how Ford saw the world. While there were other vehicles available at the time, they cost much more than what most people could afford. Ford viewed the freedom and independence offered by personal transportation as a part of life that is important for all people. He specifically priced the Model T to be affordable for much of the working population. Ford also put little value on sentiment. He felt that what a person could do was more important than what that person’s title or education was. This was reflected in the Model T’s function-first design, which lacked ornamentation and was only available in black. The Model T was groundbreaking product that changed design, culture, and society in ways we are still feeling today. It was also a Henry Ford’s personal manifesto on wheels. 2. 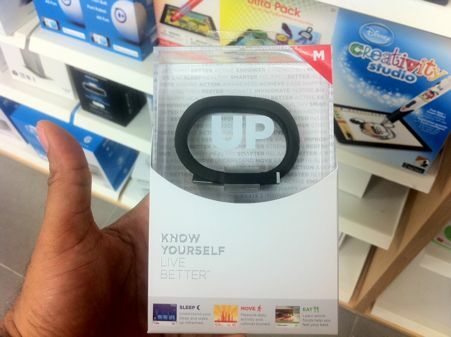 What do current products such as the Jawbone UP (pictured), Gmail, and Twitter say about their creator’s beliefs? What moral decisions regarding “a better life” do these products communicate? In my next post, I’ll take a critical look at some of the more popular technology products to see if we can discern what they say about their creators.